As cars depend more and more on IT, the currently used and outdated CAN Bus needs to be replaced by a newer technology: Ethernet. Therefore, DoIP (Diagnostic communication over Internet Protocol – ISO-norm 13400-2:2012(E)) has been developed. It’s a protocol layer on top of UDP/TCP and serves the main goal of sending diagnostic information. Nowadays, only few cars use this technology, but in the future there will be a rapidly growing number of cars supporting DoIP communication. 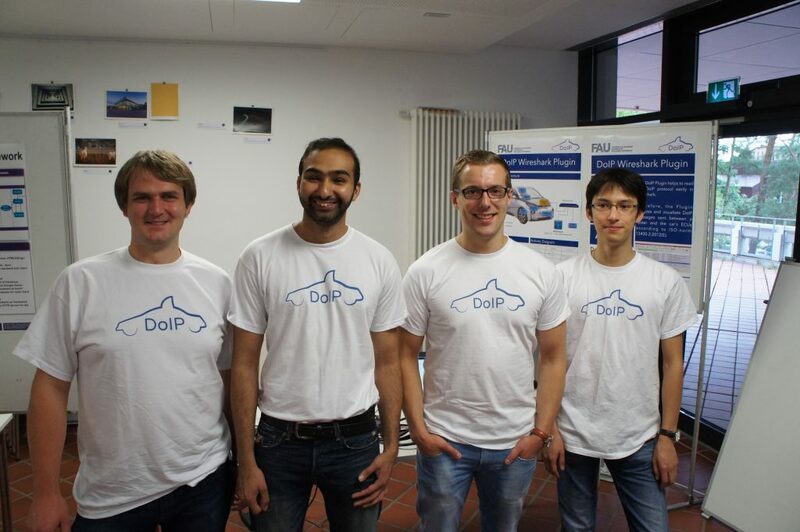 On this account, the AMOS-project with our industry partner AVL DITEST GmbH was about developing a Wireshark Plugin that helps to read the DoIP protocol easily. Therefore, the Plugin analyzes and visualizes DoIP messages sent between a Tester and the car’s ECUs according to the ISO-norm. 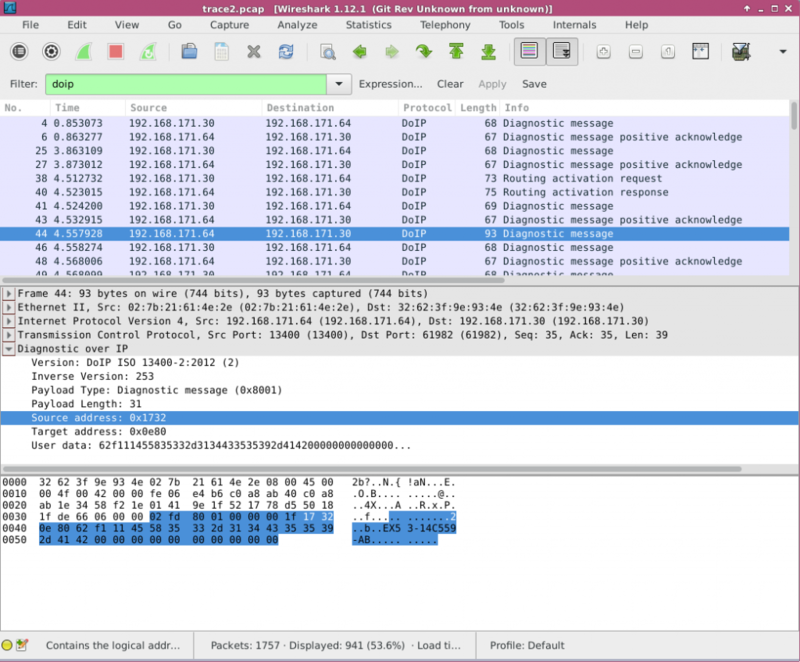 Wireshark is a cross-platform network protocol analyzer. It lets you capture and interactively browse the traffic running on a computer network. Wireshark is freely available and released under GNU General Public License version 2. After 13 weeks of hard project work using an agile approach, we have been able to finish our project on time and demonstrated the Plugin on the AMOS Demo Day on July 13, 2016. Even though we suffered three students leaving the project team early, we consider our outcome as huge success. Finally, we would like to thank our industry partner AVL DITEST GmbH for the great collaboration and Prof. Riehle’s team for the support during the project. For further information, please check out our project repository.